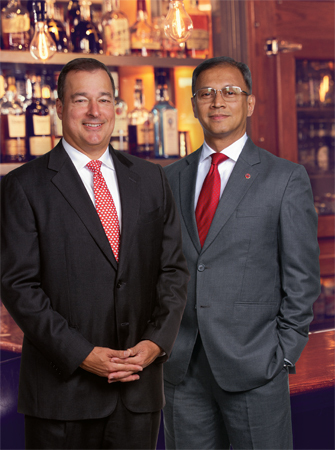 Fiscal year 2018 (April 1, 2017 – March 31, 2018) was an exciting year for Bacardi. We welcomed a new global CEO with Mahesh Madhavan taking over after twenty years managing many markets in Europe, Asia-Pacific, the Middle East, and Africa. Along with a new CEO, Bacardi embarked on developing a ten-year business strategy, keeping corporate responsibility (CR) principles at the core. This year we also launched our new culture pillars of Fearless, Family, and Founders. The pillars stand for our belief that being fearless means being empowered to challenge the norm and innovate; as a family company we will take care of each other and our communities; and our employees will act with a founder’s mentality, always doing what is right and taking accountability to ensure the sustainability of our company. In addition, we recently announced our expanded Good Spirited global goals to encompass all the company’s CR pillars with a target date of 2025. We reviewed the United Nations Sustainable Development Goals and aligned with the ones we feel we can have the most impact on moving forward. 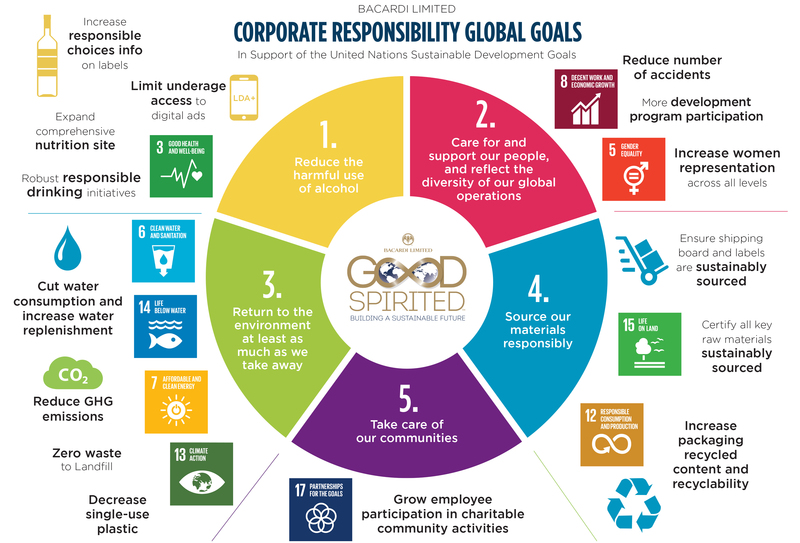 Our long-term Good Spirited global goals address what Bacardi Limited is doing, often in partnership with others, to help achieve many of the targets. Furthermore, we are proud to be a signatory of the United Nations Global Compact and this report constitutes our annual communication of progress. Comprehensive information on our Good Spirited CR program can be found within www.BacardiLimited.com. 2017 represents the last year for reporting on the Producers' Commitments to Reduce Harmful Drinking. While the five-year initiative has concluded, we remain committed to continuing the spirit of the five commitments and the 10 action areas, including finalizing new, responsible, and robust industry standards to ensure our digital advertising only reaches adults of legal drinking age who choose to drink. At the end of 2017 we calculated the results of the first round of our Good Spirited environmental sustainability initiative - our achievements in operations, sourcing and packaging. While we are proud of our efforts in reducing greenhouse gas emissions intensity (down by 59%), water usage (down 50%), waste (less than 1% sent to landfill), and sourcing our sugarcane-derived products in a responsible way (86% Bonsucro-certified), we learned from some of the challenges we faced in packaging weight reduction and the increasing importance on improving our water consumption. These learnings have informed the next round of overall Good Spirited goals, including taking the supply chain into account. This past December, we launched our nutrition pages on www.BacardiLimited.com to provide consumers nutritional information about our premium products. While only currently available in four priority countries, we will continue to add to this site with additional markets and products. Our Women in Leadership program has expanded into all regions of our global operations with a mentoring program kicking off in Eastern Europe, expansion of our support for S.H.E. Summit, Women Empowerment Series in North America, and kick-off of our Spirit Forward program to support women in the hospitality industry. At the end of FY18 36% of leadership positions were held by women. Last September, Hurricane Maria hit our Puerto Rico community causing significant damage to many areas where our colleagues live and work. 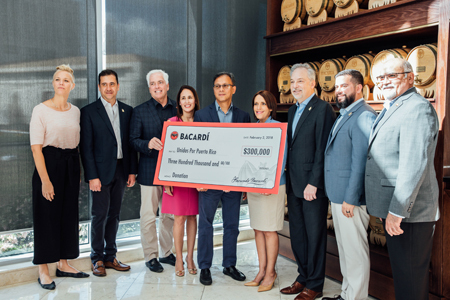 Along with the Bacardi family, we were proud to commit US$3 million to disaster relief there and in other areas affected by natural disasters. The charitable gifts were used to provide immediate relief to hard hit communities through our “Emergency Stop & Go” centers and mobile caravans, providing distribution of food, water and supplies, and access to medical services and cell phone charging stations. We are committed to continuing our rebuilding efforts with our new partner Mercy Corps on a tourism recovery program for Puerto Rico and the U.S. Virgin Islands and St. Martin, consisting of support to small and medium enterprises and natural area rehabilitation. In FY18, we announced our intention to fully acquire Patrón Spirits International AG, with the acquisition completing in April 2018. While we are delighted to welcome Patrón into our family and have included some of its CR highlights in this report, we will spend the next fiscal year working with the Patrón team to measure and establish data baselines regarding CR reporting, including our environmental and safety targets. Patrón has developed strong CR initiatives in recent years and we look forward to continuing these great efforts. On behalf of the more than 7,000 employees of Bacardi, we are pleased to share our 2018 Corporate Responsibility report with you. We are proud of our efforts this past year and look forward to what the future holds in our Good Spirited endeavors.